If you love Jo Malone, then you will love this new Wood Sage and Sea Salt collection that is perfect to take you from Summer to Autumn this September. 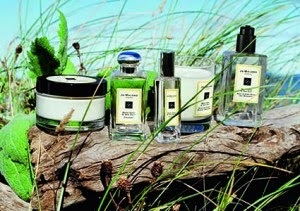 Inspired by the wild English Coast, this new Jo Malone range has top notes of Ambrette Seeds, Heart Notes of Sea Salt and base notes of comforting Sage. The woody, earthy and fresh scent means that it is suitable for males and well as females and it will calm any household once you burn the candle. The full collection comprises of Cologne (£40 for 30ml or £82 for 100ml), Body and Hand Wash (£28), Body Cream (£50) and a Home Candle (£40). You can get this range from any Jo Malone store from the 1st of September 2014.